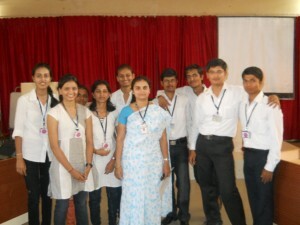 All learning and no fun makes the environment monotonous. 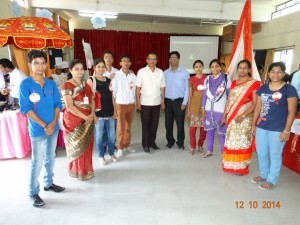 We Indians celebrate various religious festivals like ganesh chaturthi, navratri, dussera, diwali, etc. 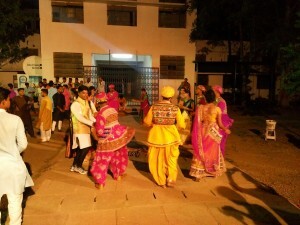 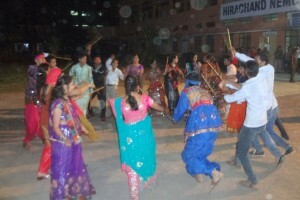 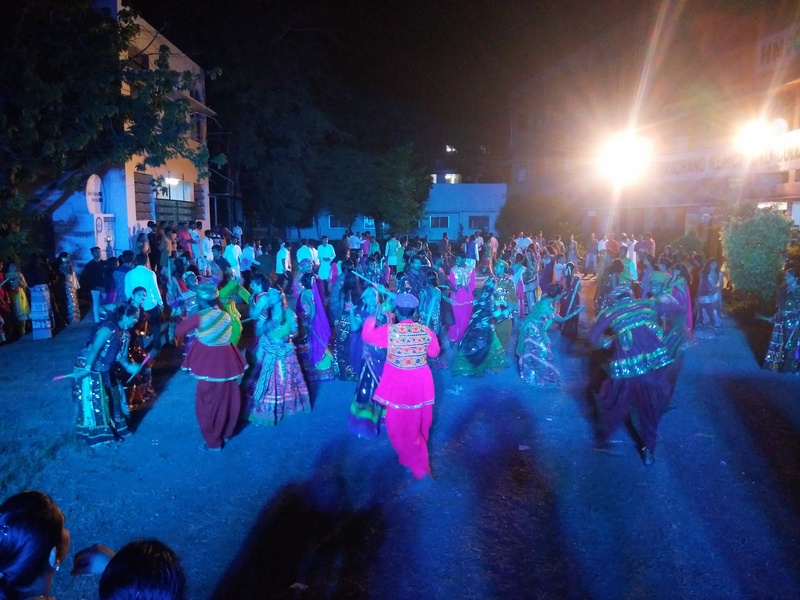 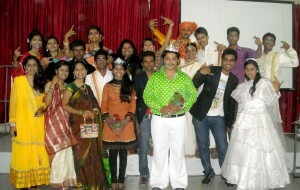 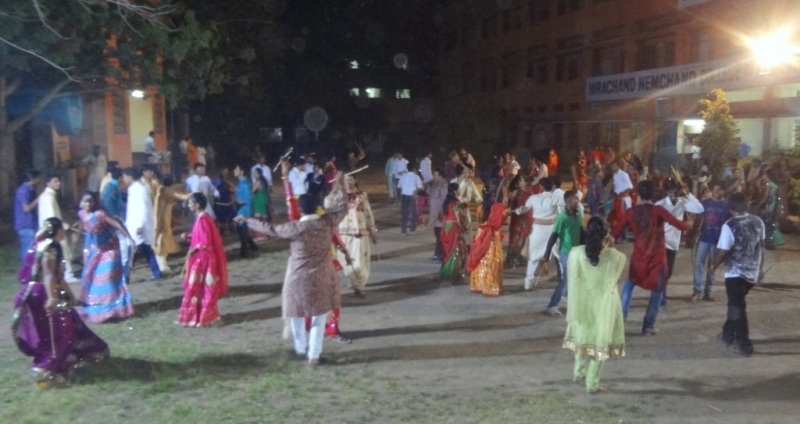 students at HNCC organize dandia in navratri. Students take active participation in “raas dandia”. 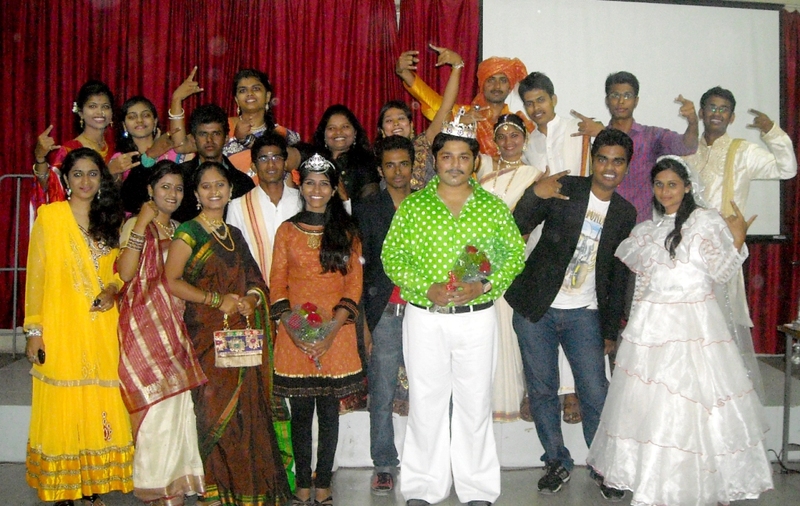 They are given encouragement by awarding them with various categories such as best dress, best dance etc. It has been our tradition to welcome the new entrants to the MBA Program. 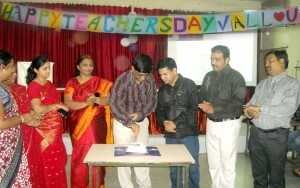 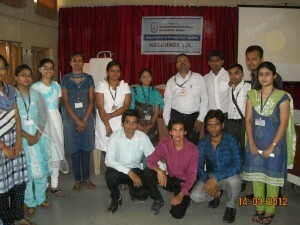 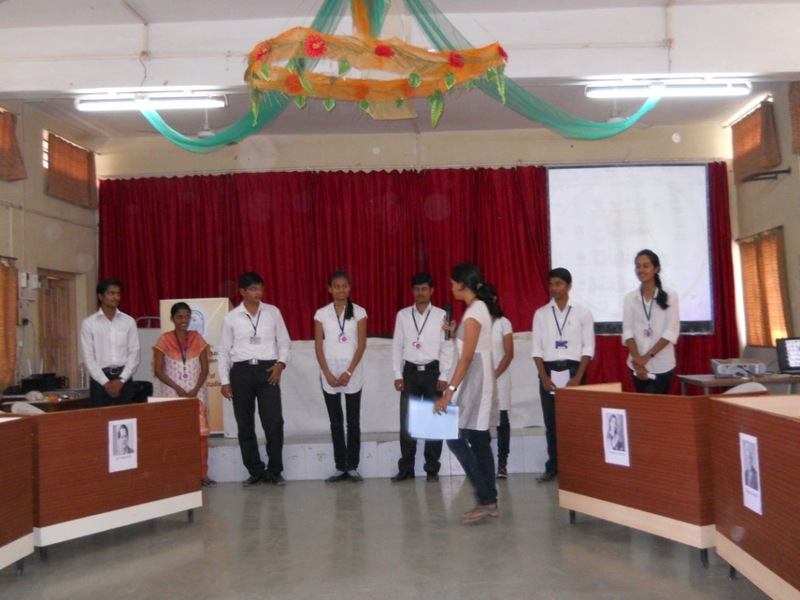 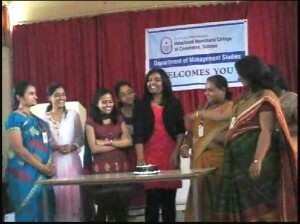 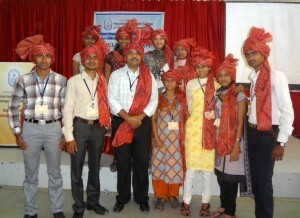 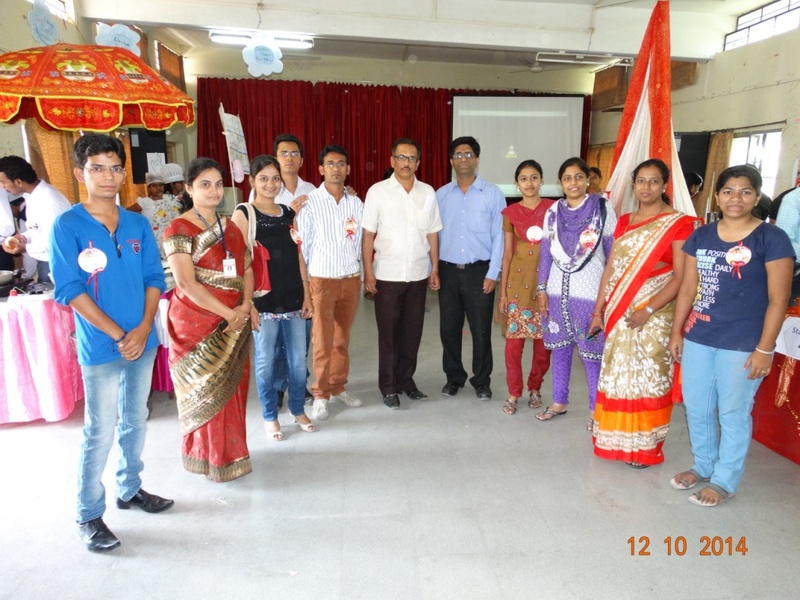 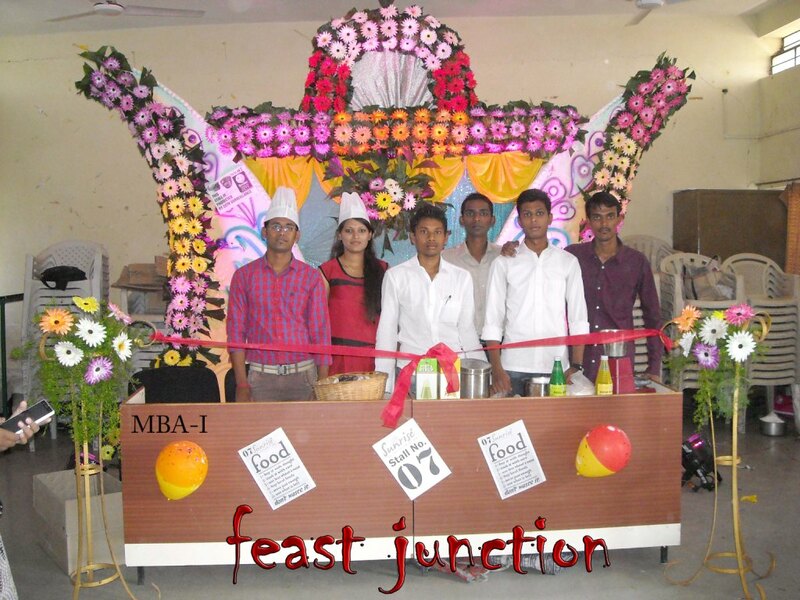 TheIInd year MBA students welcome their juniors by giving a fresher’s treat. 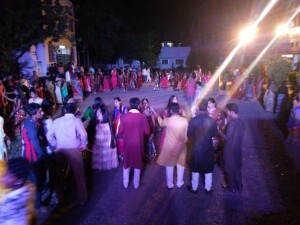 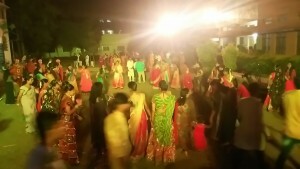 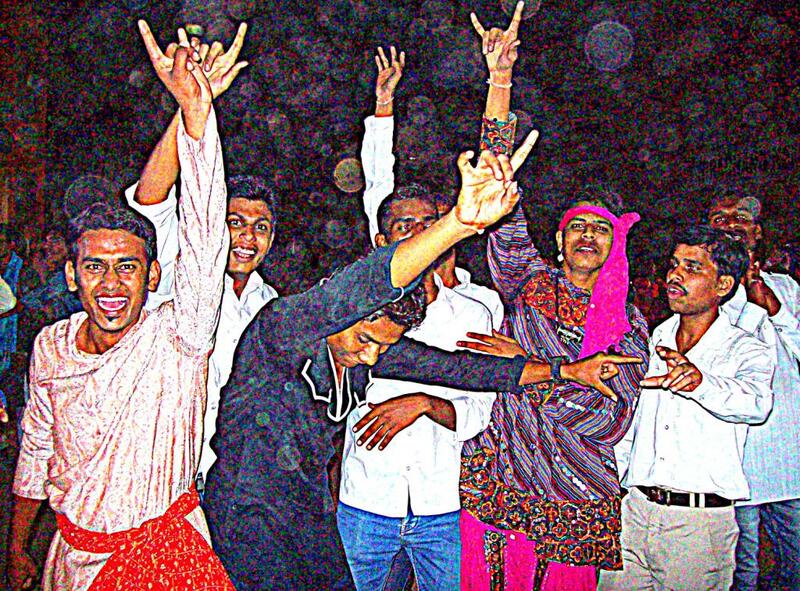 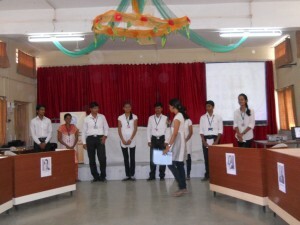 Every year the fresher’s party is organized in the college campus to welcome the students. 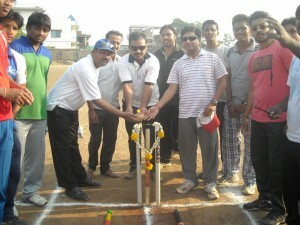 Various activities games, miss and Mr. fresher etc. are arranged by the students. This helps to place the new student in a comfort zone and thus a friendly atmosphere is created in the college. 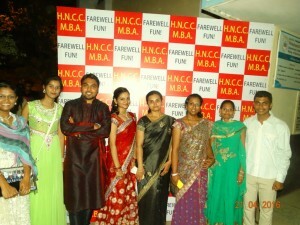 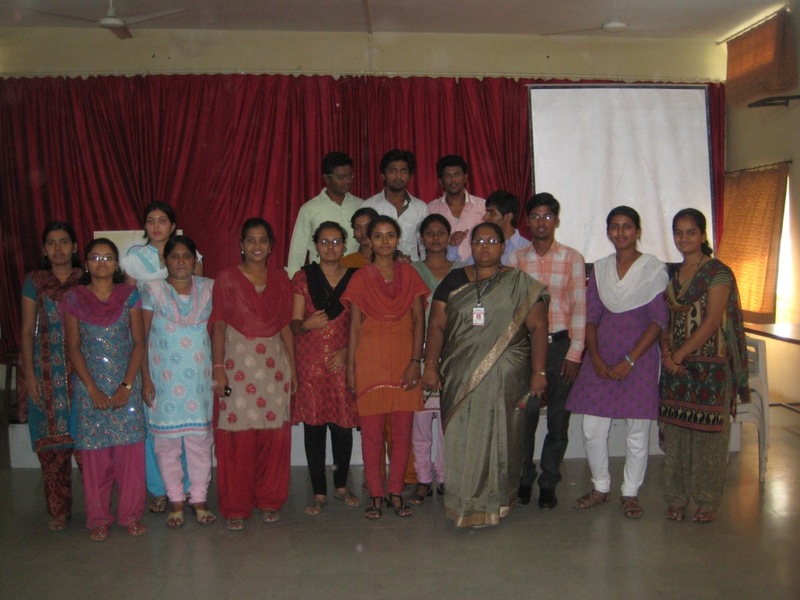 After spending full two years for the MBA Program at our college its time for the students to depart. With lots of dreams and exiting opportunities ahead the final year students bid a good by to the college taking with them the sweet memories of the college. 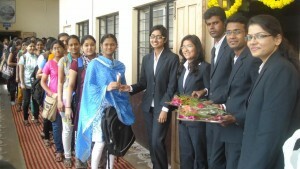 It has been our college tradition to give farewell to the final year students. 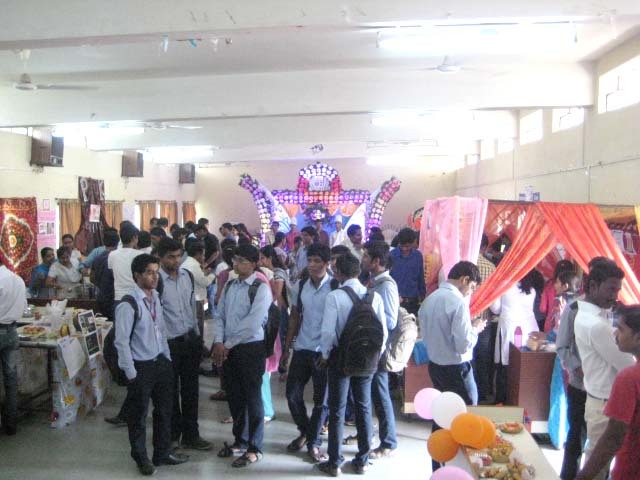 The well organized event comprises of various activities for would be alumni’s. As a part co-curricular and extra curricular activities the students are given exposure to show their talent to the outside world. 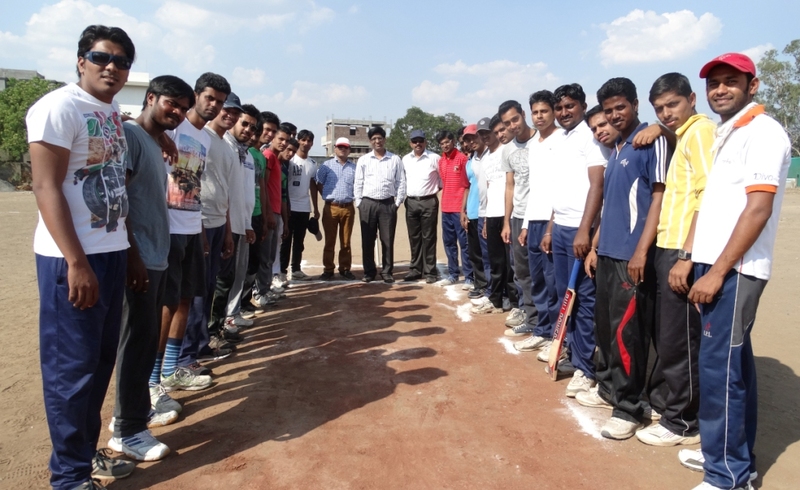 The students actively participate in the intercollegiate activities. Launch Pad – intercollegiate competition for product launch, Yuva Jallosh organized by Lokmat Pvt Ltd., National level entrepreneurship event- challenges, Jeeta Wohi Sikandar” an Inter college national level quiz competition, Intercollegiate Business Quiz, Business Plan competition and to name a few are the various competitions in which students not only participate but also bring laurels to the college.